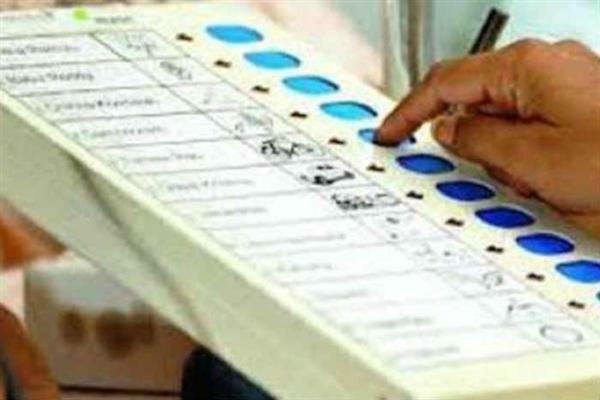 Srinagar, Sep 10 (KNS): The state election department is issuing a notification for holding the municipal polls in Jammu and Kashmir within a week, KNS has learnt. One of the top officials of the Chief Electoral Office Jammu and Kashmir on condition of anonymity told Kashmir News Service (KNS) that notification is likely to be issued within one week for the urban local body elections. While BJP has maintained that the party will participate in the elections, Interestingly National conference and Peoples Democratic Party (PDP) has announced that it will boycott elections unless the Centre and the state government clear their stand on Article 35A of the Constitution. On August 31, the state government, headed by Governor Satya Pal Malik, had announced the long-pending panchayat and urban elections in the state beginning October 1 and culminating on December 4. It was decided that the municipal elections would be held in four phases from October 1 to October 5, while panchayat polls would be conducted in eight phases from November 8 to December 4. Municipal elections were last held in the State in January 2005 and elected Municipal bodies had completed their five-year term in 2010. Elections to Municipalities haven’t been held for the last about eight and a half years. Similarly Panchayat elections were last held in April-May 2011 and the elected Panchayats had completed their tem in July 2016. Elections to Panchayats have also not been held since then. Meanwhile sources said that the authorities are selectively clubbing the highly volatile constituencies in the Kashmir Valley with peaceful ones from the Jammu region and the border districts to finalise the urban local bodies polls in J&K. A top official told KNS that the situation in the State warranted “a calibrated” approach to hold the much-awaited polls for urban local bodies and panchayats, as all major regional parties still find it hard to hold any public activity in the Kashmir Valley, especially in south Kashmir. “We are in the process of identifying both highly volatile and peaceful constituencies. These elections will be held in peaceful constituencies in the first phases with a few volatile constituencies along with it. The only way to build a tempo for the polls would be to start from a peaceful note,” said the official. Both the civil administration and the security agencies have identified the Jammu region and the border districts in Kashmir Valley as “peaceful constituencies” for the polls. “Such constituencies will be the first to go to the polls in the multi-phase,” said another official. Fresh panchayats polls were supposed to be held in 2015. However, these elections were deferred on many occasions due to unrest in Kashmir.